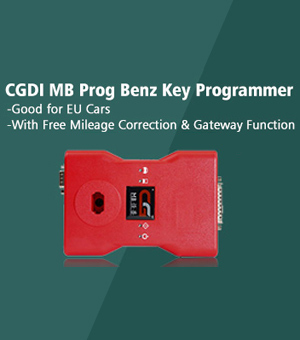 How to Choose A Best Auto Key Programmer Clone for A Locksmith Shop? This post is quoted from DK forum, the poster has a locksmith shop, he will try to tell what kind of key programmers (and other hardware) he have, and what they are good for. Good tool. Ideal to use it with CK100. The 1st one, what come with special adaptors for Hyundai, Kia and Honda. Does remote programming too, what can come handy often. With compatibility list on my phone, I can always know when it is good for the vehicle. It is rumored, that there won’t come out more updates after 5.0, but we will see. If you have to deal with expensive cars (Jags for example) it can do wonders when updated properly. It has a free token system, but you need from time-2-time to refill it via internet – thats the most irritating point of the tool. You can update it via PC program – it is very slow, but it is worth to wait. Better pin tool than the CK, but nothing extraordinary. You can get it from $320 with free shipping. SKP900 won’t be produced any more and no more tokens, I think I don’t have to change my mind after this sad news, because we lost only the updates and the token system, this toy stays usable for 2-5 years – depends on the cars age what you have to deal. Its price will be lowered in a half year, or you can get it without tokens on ebay almost for free. A must have. I got it for last x-mas from me It is not so easy to use for the first look, but it has oddometer-correction tool, and can use .bin files or read directly from an eprommer. Has the same connector-collection as the SKP, is meant to be the next generation. It is said that it has all the function of the CK100, but I’ve found lots of diferences. Another advance is that it can read and delete trouble codes (DTCS), and clear oil change periods. This didn’t work on a 2010 Kangoo II. It can be updated via internet, never tried, but it is said to be working. Better pin tool than the CK, but nothing extraordinary. Cheap enough for its knowledge, you can get it for $140 with free shiping. Cheap solution for the poors. It is the chinese clone of Abrites, with limited abilities. If you want to buy it, then try to get an older one, because the new ones are the clones of a clone. 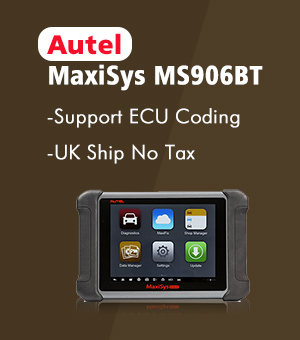 I don’t want to waste time on detailed description, it can help a lot or freezee without any marks or destroy the connected car‘s parts – but it is cheaper than cheap, you can get it from $100 with free shiping. 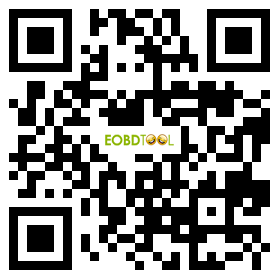 Professional tool for professionals (only). The best thing what you can have for programming and so on – for a lots of money. If you are a professional, you can’t do your work without it: does a lots of cars via OBDII, what other tools can’t (Benzs, Jag XK, various models of VAG group, aso). A class of its own. The prices are high enough to wait out the promotions (x-mas, aso). For the beginning buy only that module, what you mostly need, and buy the other modules when you can’t avoid it. At the moment the Benz module is the best on the market what you can buy. Full package costs more, than $30.000, yearly subscription €200. Another must have. It is modular like AVDI or TMProII, with limited free functionality for each manufacturers. The whole BMW package is free, so you have to get it if you have to deal with Beemers. To be honest it has lots of weak points, but the documentation what is included makes it worth to pay for: pictures of the devices what you have to look for, sometimes with location and unmount pics; list of the transponders what you can use to the chosen task; the name of the chip what you have to deal with. Packages are from 50€, you get the activation code in e-mail very fast, but can depend on your dealer. So much from the good side, let’s see the weak points: It comes often, that you can’t open the .bin files for their name, just have to find out where the program accepts it. For example: Yaris as Corolla, Insignia as Camaro, Cordoba as Polo, Picanto as C’eed, aso. It gives some well-known problems: can’t do anything with the RB8 controllers, aso. It is a bit uncommon, that it wants to be updated allways, but who cares, it goes fast enough via smart phone too. However: you have to buy this to be able to do your work, so take a deep breath, and pay: 1200€ for the basic sw+hw. Czeh curse upon us. 1000€ without oddometer correction, only for the Volkswagen group. This sounds fine, but they promise 1 year free update – even in September – what lasts only till January. In many cases the program says, that the key programing is blocked, try again later – but no words about how long to wait. The pin tool works rhapsodic: some times great, some times clean time wasting. Another weak point is the RB4/8. The manufacturer said that the instrument cluster module is a good solution without soldering. My question is only “what is it good for – absolutly nothing”… The module says what to do, and when you follow the instructions, then it ends with an error message. You can try it many times, it won’t deliver the needed result, as long you follow the popups. When (after several tries) you try to change, and press “no” instead “yes”, then the things begin to change, and you could get the needed result. You could. Tried this module 3 diferent cars, then did the same work with soldering: the result shows that it is much more faster when you do it on the oldschool way. Another joke is the yearly €160 for updates. Better spend this money on Abrites, it is much more worth of it. I can’t really say if it is worth of its price, or not. I think I got a broken OBD-cable with the tablet, thats why it sometimes works, some times stops with connection error. Have to deal it with the seller, but thats another story. The tool is easy to use, has a lots of functions, in many places with screenshots how it should work. Not a cheap toy ($1400 with the Toyota pack), but I think it could be a good tool for the daily use (when you already bought it). Needs internet connection (at least once a week to check for updates) for some actions. To be honest I’ve spent a lot of times to test it for DK, and I think it promises a lot, but now it is too weak in knowledge for this money. But if you already have it, you can hope that they will work on updates harder as a rock. Update: It seems to be working now (at least with smart key cars). The making of a smart key for a ’14 Dodge Charger was fast & easy: the only trick was that I had to chose Journey from the wehicle list. Pin reading and programing was done in 2 mins. ’13 Megane III Ph2: no pin reading, asks for pin to be able to do programming. ’11 Clio III Ph2 Grand Tour: Nothing. No communication. 2 pcs Astra H: No pin; 4 pcs Astra G: No pin; and a Corsa C: no pin. ’17 Mustang Shelby GT350: It was harder to get out the rubber pad from the cup holder, than the programing itself. Smart key added in 1 min. ’08 Dodge RAM 1500: it toke 5 mins to catch that it has to be programed as it were younger than 2012. With that setting under a minute with pin extraction. ’07 E60 Beemer: The customer had a chinese folding key with 315 MHz and he paid for just the trying – we told him that it won’t work – the only thing was that we had to re-activate the original keys. I think it can be done when you use the factory diamond 868 MHz keys. ’15 Ford Edge remote key OK, under 2 mins. Won’t work with the Transit Connect variants (small furgons), neither Custom, Passenger, Tourneo. Tried only 5 of ’em from 2006 to a 2016 Eco Flex – no communication, or connection lost after reading the VIN. You can try it as Focus and Fiesta too – the result will be the same. I’ve made the programming mostly with the SKP900. Strange, but true: If you chose AKL @ Transit, then you can program only one key too, the difference is that the remote controller will be disabled, and the immo LED won’t switch off, but you can start the car. Tested @ my mates transit, worked fine with only one key fine for 3 days, then was the second key added, because he hated to open the backdoor with two turns to open direction on the driver’s door. When I added the second key, the remote began to work again (was added before teaching key). I think it is a good tool if you have to deal with smart keys – if pin is needed and the Lonsdor can’t deliver it I don’t try again when i get the codes. Just to solve the RB4 / RB8 problem by Audis. Cheap enough to save you in such situatinos. I got it 2 weeks ago, but had no possibility to try it. With free shiping only 70 bucks. I don’t know how others think about that situation when you can’t read out the content of a chip, but I swear to myself that it won’t happen again. That’s why I have so much eprommers, just to avoid such situations. Good tool, but not necessary to have (or get a chinese one). It was the first one what I had, but you can find where it leaks sooner as you could think. It was and is a very good eprommer. Very good if you have to deal with Motorolas, but not so universal than the O5, or the VVDI Prog. If you buy the original one, it can be expansive: €2000 for the full set with all the sw authorization and connectors, but you can get the chinese clone of v5.5 from $50. A must have. You can’t avoid to get it if you want to do the car work seriously. Good for EEPROMs, MCUs, has a good Immo-content. This immo-part can be very helpful: in many cases you have only to solder some vires to the PCB, and you can read/write the needed content. Contains tons of pictures of immo-boxes, ECUs, and other PCBs; chip pinouts, and lots of useful informations. The basic kit costs only €350, I suggest to pay a bit more, and buy all the needed connectors with the basic kit: SOIC8 DIP8, SOIC8 14 soldering, SSOP8, Lead whith clips POMONA SOIC8 & DIP8, PQFP52 PQFP80, TMS374, 912 908 and 705E6 in-circuit leads, HC11ES and 05B6 WDT VW chip connectors (be getle with ’em, otherwise you have to buy a new one after 5-10 uses), ST62xx, 908AS60/AZ60 QFP64, all Motorola connectors. You will see how often do you use this connectors, and you can re-order the frequently needed ones. The best 2nd eprommer what you can get (for moderate price). Mostly used for Beemer and Benz in our shop. Not too expensive, but easy 2 use. I bought it when we had difficulties with a Beemer and the problem was solved in no time. Has good pictures for in-circuit-use, and needs less connectors as the O5 for the daily use. A bit uncommon look, but you can find everything if you look with open eyes Free updates and compatibility with all other X-Horse product. With free shiping costs $400, thanks to its origin no clones are available. Update: It f**kked away a ’08 W169 A class’s flash. Toke a lot of time to repair it. My dealer said that it can happen often @ Benzs. Maybe the only way to avoid data loss is to push the “Read ID” button first. If the identification is ok, then you have your chance (tested on a ’11 W245 B class). Other mistake was made by a CAS4 reading of this eprommer. Can’t tell ya more about this just readed about it. To be honest never used this tool. I’m pretty sure, that it has its potential, but better don’t spend money on this except you get it used around 50-100 bucks. Has no support, the original company went bankrupt, and the new owner does nothing, just sells the existing stuff for €1000. It was a good tool 10 years ago – but now it is overaged. I can’t really tell why I bought it (because it was cheap and supports Beemer), but God only knows when it can come handy. Works with EWS1-4, CAS1-2. Cheap chinese toy, has 24 connectors. Bought it when I couldn’t find a TTL connector to the exsisting ones, and my dealer was on holiday. I got it within a week, seems to be correct enough. Since its arrival I used to it only once to test it. The binaries were the same readed by TL & O5, so I put it back to its box, and not used anymore. As far I see it is a perfect hobby tool, costs only $40 with free shiping. When compared with X-Prog I would prefer the other eprommer, or buy both of ’em (only the cheap version!). Too cheap to not to have it if you have to deal with old BMWs. Excellent EWS tool, makes everyone happy: the customer can get a cheap remote key, and you can make fast profit. Has plug-on-chip connectors, what are doing its work perfectly if you remove the protecting resin from the chip pins. Does all EWS protocols, but be cautious it can delete the 2D47J content. You can get it from $25 with free shiping. Key cloning is one of the most important part of our job. My policy is “better cloned as programed”, because a cloned chip works for sure; while you can have lots of unexpected errors when you try to add a new key. Good tool, but overaged. I have the cheap Chinese version, and have downloaded the EFfI sw to be able to use all functions of it. Cheapest way to clone, but has its own limits, whats are easy to reach with ID46 and 48 chips. Nothing to risk with its $20 price (mostly with free shiping), but don’t take it too serious . A must have! At the moment it is the best handheld cloner, what you can get. With the JMD key expansion it can save you with ease when you have to deal with VWs – even in AKL situations. It is not a wonder weapon, in practice it needs time for calculations (some times 45 mins), but in the meantime you can cut the key, aso. Never tried with G-chips, so I can just tell ya that it is said to be working. 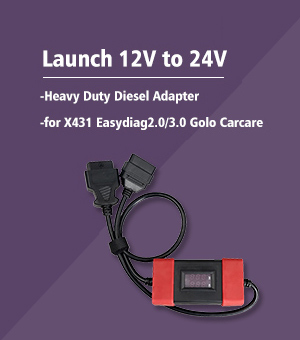 Has built-in batteries, and you can always charge it from your car – ideal tool to take with you. The special transponders are cheap enough to save you a lot of money compared to the RW4, and the main unit costs only $350, the JMD Key box around $250, and the G-chip authorization (if not included) $80, always with free shipping. Update: They stopd selling the JMDD, JMD6, JMD8 chips, instead of ’em you can buy Blue or Red King Chips. The blue one is for everything except ID48 for the usual price, the red is for ID48 much expensive. For professionals(only). It is made by Silca, that means it is expensive. I bought it together with the M-Box (in a special promotion with 10 ID48 and 40 GTI chips), when my Handy Baby couldn’t clone the key of a TT. It works with special devices called “snoop”s, one for ID46 and another (M-Snoop) for ID48. It needs internet connection for calculating a 48 transponder, can take 20 mins or more for the whole procedure. Works only with the expensive Silca transponder chips, so I try to avoid its usage if possible to save profit. Good point, that you can power it from your car or from AC, but its size is too big to take it always with you. Its price was (in special promotion) €2100, ask your locale dealer about promotions – otherwise it can be €3000 or more with ease. Another must have. It can save your a$$ in the most important moments, so don’t hesitate – innovate! With PC sw for that cars what are more difficult as the others it works fine, can save you a lots of money ‘coz its remotes are cheaper than the originals, and are easy to code ’em for almost every car. Usually I don’t have anything else for the VAG group, in rare cases I replace the KEYDI head with original Audi (for the logo) and the customer has a cheap Audi remote, we have our profit. This tool is good for everybody: the cheapest for own use, the 900 for pros. A real joke. They say that this is a pin code calculator – I say it is a dust collector. It works with tokens, for the beginning you get 100 (I got 300, another 200 net-tokens too, to be able to count pins on the vpc website). I don’t know why, but usually it counts more than one token for the worst results too. For example: Nissan Almera 2004. Date code is 11924A; encrypted pin is E0D4 and the NATS came from Mexico. Pin is 8568. The VPC website delivers the same result for 4 web-tokens (8 if you don’t register a machine), but you need a bit experience what to enter and where and how… BUT: the device itself delivers the same result for 4 tokens – staying at this example. We met such Almeras, where the net and the device version gave out wrong results. It does not know the Infinmity keycode (can be counted from VIN), charges you for 4 token @ Hyundai/Kia pin code (CK100 gives it for free) and so on. If you are looking around you can find @ the download section the programs for free what can avoid the usage of this tool. Nowadays it costs ~$25 with 100 tokens. Meant to beat out the Handy Baby from the market, but as far I see without success. This one is the handheld version of the CN900, as the developers said with all of its abilities. Ok, this info comes from my dealer: the mini knows only 80% of the HB’s work tested on real cars. If you have handy baby you don’t need the cn. Price is around $150 with free shiping. Never owned, gives better ones. This is the alternative when you don’t want to have lots of devices: a mini CN900 built in one box with a KD900 clone. Some of the owners talks about this tool as it were the Holy Grail, others try to sell it fast after its arrival. The fact is that the Handy Baby is more better than the mini CN, and the KD is good and stabile. I can imagine only one situation where it can be useful: if you have a lots of original factory remotes without cars, because this toy has a renewing pad kit for original remotes. The cloner works only with its own transponders, around $3.5 a piece, what equals the Handy Baby chip prices (except the blue/king chips); the remotes are also in the same price (around $10). It costs $220 with free shiping, another $320 for the remote renew kit, or together for $499. Uncomfortable. I bought it coz it was to cheap enough to buy it, but is too difficult to use. A simple Seat remote re-teaching can be done in three different places – I better prefer the SKP900 for this. Some are swearing, that this is a good tool, but to be honest it is too uncomfortable for me. Yo can get it for $6 with free shiping, so you don’t risk anything when you get it. Cheap toy for everyone. Bought it because it can be used for Renault, Nissan, Mazda and Ford. I couldn’t use it because I don’t like to run around with a laptop, when other tools can solve my problem too. The Nissan part couldn’t read out pin from a NATS2 device, then the Renault part wasn’t able to do programing on a Thalia – so I drop it out from my car. I think it is a more-than-nothing tool for hobbists, costs only $30 with free shiping. The big question. Another Silca tool, that means it is damn expensive. My pal bought it, so he can lend it to me when I need it ;D The most important thing is that it works with tokens. Very expensive tokens if you ask me, because usually I pay 10€ for a token. I know it is cheaper when we buy 100 or more, but I think it is near to robery. The tool itself is modular, you can buy only the needed parts, but I think if you give money for this, then get the fully featured version. I use it as ‘the last possibility’ when nothing else works. It worked only once when I couldn’t teach an Alfa 147 factory remote key in AKL situation. All other tries were just a shoot in the dark, but in that cases the cars were damaged. The price of the full version is around $3700 or 2000 quids + VAT depends on your contry and dealer. God! Have mercy! A real crap. Mostly you can’t trust it, but has all sw packets what the original can offer. The only positive thing what I can tell ya is the built-in full documentation what the original had. Ok, it is not so tragic as it seems for the first look, but it makes often mistakes. I think €200 is too much for the documentation only when the hw itself is worthless, and sooner or later you have to buy the original one. Good toys when needed. I bought ’em together with my X6 on IKS ’17 from a Polish company. The price was €100 for each (CAS2-3, CAS4). They are a bit expensive, but can help you out if you get only the CAS module to make keys from it. With the use of ’em you can be absolutly sure that your key works fine – avoids a lots of troubles when the car is defected. Another tool for pros only. In full version it costs €4800 what is a lot of money for a single eprommer. Ok, that’s the full version with tablet and everything, but… You have support with it. I mean real one. Not like Simon Touch’s unreachable one, but a real one. “On demand program flashes database allow you to fix ECUs damaged by other programming interfaces.” Another good point is “No need to heat the microprocessor within any temperature range”. My dealer ordered one, I will see when I can test it, and how far are the producers promises true. Until then I can only tell ya that I haven’t met bad reputation about this tool. Only when you want to waste your money! It is a good tool, the next generation of SKP900 with epromer and everything what you can can call trendy today. The only problem is, that SuperOBD stopped supporting, so it is chanceless, like the Troyan woodhorse on the Derby of Epsom. Originaly was designed @ superobd, but produced by Lonsdor. It has oddometer, oil change and other options, but costs $500, what is too expensive for a dead tool. Looks & works like the 518ISE. The token system was removed, so I think we lost a good tool with it. RIP. That’s it for now, please check back later – will be updated if I know anything important . One time again: Big thanks to @PocketHero who contribute his time, energy to share what he can do.